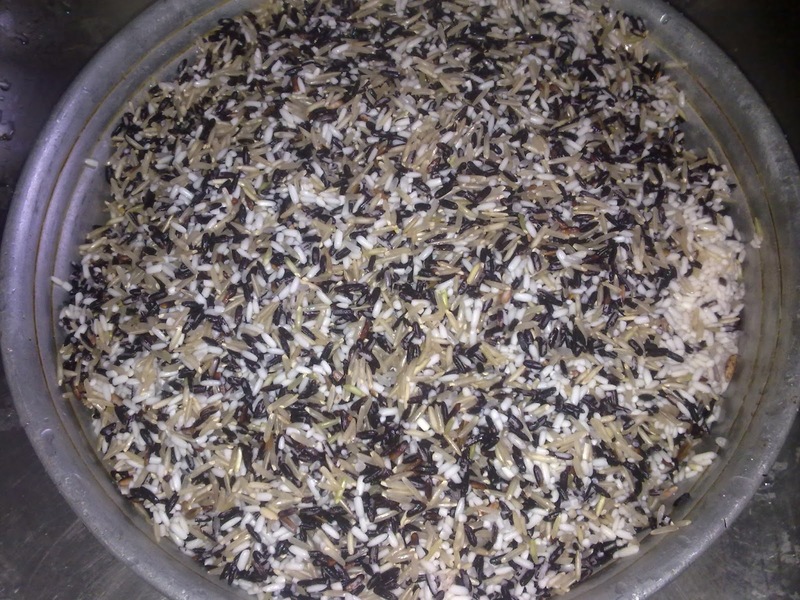 I have been using quite a bit of black rice in my recipes lately. Every time I get the new stock the first thing I do is make rice pudding. It’s a celebration since no other rice compares to this nutty and oh-so-fragrant taste. We do get a lot of other fragrant varieties of rice and the most-consumed in Assam must be joha. The aroma wafts through the house and beyond. But black rice happens to be special. After the first rice pudding was made and relished it was time to think about something different. And so rice wine it was. And checking out Google images on savoury cakes I had come across one that made me gasp! Cooked black rice on one such cake! So this cake came about by throwing in several ingredients together. The first recipe that I tried was Rachel Khoo’s and you can see it here. I simply changed some of the ingredients adding three tablespoons of cooked black rice, black raisins for that hint of sweetness, bits of chicken salami, grated carrots, cheese and ground pepper. The rest of the ingredients like eggs, milk, olive oil, flour and salt are the same as in that recipe. The colour purple in all things edible is indeed fascinating. 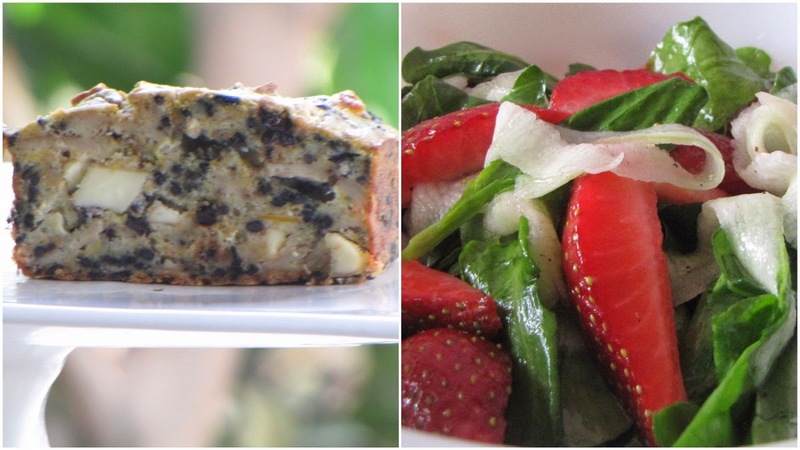 I love savoury cakes with a salad and in this case I teamed up rocket leaves, strips of cucumber and a few strawberries from my pots to make this pretty salad. The dressing was made with lemon juice, a hint of salt and sugar, olive oil and grated pepper. Thank you for stopping by today. Would love it if you checked out my Facebook page as well.